Prestige Institute of Management and Research, PIMR Indore is an autonomous Institution established in 1994 affiliated to Devi Ahilya Vishwavidyalaya [DAVV]. The National Assessment and Accreditation Council [NAAC] accredited twice consequently with grade A and also got an accreditation by the University Grants Commission [UGC]. PIMR is a Top B School amongst other MBA Colleges in India. Moreover, the Institute has many research publications to its name. PIMR Indore has been accreditated for MBA program by National Board of Accreditation [NBA]. The Institute adopts new teaching and learning methods to enhance student’s performance. It has a very good campus and an eco-friendly learning environment. Moreover, the students at PIMR have a Guinness World Record in Largest Backwards Walk. The courses are taught in such a way, so as to inculcate analytical skills in the students. PIMR is ISO 9001:2008 certified. NAAC accredited with grade ‘A’ twice consecutively. NBA accredited MBA program offered by PIMR. The Prestige Institute of Management and Research, PIMR Indore Admissions in Diploma in Event Management (DEM) & Post Graduate Diploma in Event and Public relation (PGDE & PR), will be done based on the personal interview. DEM: The candidates should have passed class 10 in any Board with an aggregate of 50%. PGDE & PR: The candidates should have completed graduation in any stream with an aggregate of 50%. And the candidates are required to go through an Entrance test, Group discussion & Personal interview. PIMR offers UG programs such as BBA, BCA, B.Com, and BA. The candidates should have passed class 10 in any Board with an aggregate of 50%. PIMR offers PG program MBA with specializations like Marketing Management, Financial Administration, International Business, Personnel Administration, Advertising, and Public Relations. The candidates should have completed graduation in any stream with an aggregate of 50%. PIMR Computer Lab has computing resources to cater to the technological needs of the Institute. The Institute has also provided laptops to its faculty members. It has a video conferencing facility and has A.C. The lab is available for more than 12 hours a day. The Institute has a well-equipped, spacious and fully computerized library. The library has 40,524 books. Internet access to all the students. PIMR has separate hostels for boys and girls. Public transportation is available to the hostels from the college. There are several facilities such as food, water cooler, TV, refrigerator, laundry, and security, etc. PIMR Indore gives the utmost importance to sports. It encourages students to participate in various sports tournaments. The Institute has an excellent placement cell which provides opportunities for all students to secure a job. The placement cell the interface between corporates and the Institute. It also provides training programs to train students in Soft skills, CV writing, Industrial visits to explore students in the industrial world (corporate world). Madras Christian College [MCC] is a liberal arts and science college based in Chennai. It is one of the most prestigious colleges in India and also, one of Asia’s oldest colleges. The college is affiliated to the University of Madras but functions as an autonomous Institution. The college offers over 30 courses in undergraduate and postgraduate programmes in Arts, Commerce, and Science. MCC Chennai has established the ‘MCC Boyd Business School’, which aims to offer world-class business education. MCC is associated with the MCCHSS, Chetput. The college has, among its professors and alumni, several civil servants, administrators, educators, business people and political leaders, around the world. NAAC accredited MCC with an A grade. In 2016, the College was awarded the status of ‘College with Potential for Excellence’. MCC Chennai is an Autonomous college affiliated to the University of Madras. MCC Chennai offers both undergraduate and postgraduate courses. The Madras Christian College, MCC Chennai Admissions depend on the course type. All graduates with a minimum of 50% of aggregate are eligible for admission M.A Communication. Graduates in Chemistry with a paper in Maths are eligible for admission in M.Sc Chemistry. Entrance test recognized by the Government of Tamilnadu. Students should have a degree, with Mathematics / as one of the subjects in +2. The lab is well equipped with the latest technology. The hostel rooms are equipped with necessary facilities and have a recreational room for various sports. The college organizes inter-college fest every year. A three-day event sees the participation by the various college from Chennai and also all over India. The college as a host college does not participate in any events. Cash awards: University level, State level, National level. MS Ramaiah Institute of Management, Bangalore was established by Gokula Education Foundation (GEF) in the year 1995. The Institute trains its students to become the finest in the country in the field of management. All India Council for Technical Education recognizes this college and offers two-years of full-time Post-Graduate Diploma in Management program. The course specifically prepares future managers to face the most challenging issues across a multidisciplinary work environment with ease. For over 23 years this college has been providing high-quality education; and has faculty with very rich and varied experience who play the pro-active role in nurturing young minds. MS Ramaiah Institute of Management, Bangalore online admissions start with filling the online application through the website or directly in person at the Institute. Candidates must submit or email the Copies of the Marks Card of qualifying examination, MAT/ CAT/ CMAT Score Card, Valid ID Proof (Aadhar Card/ Pan Card/ Driving License/ Passport/ College ID/ Voters ID, etc.). 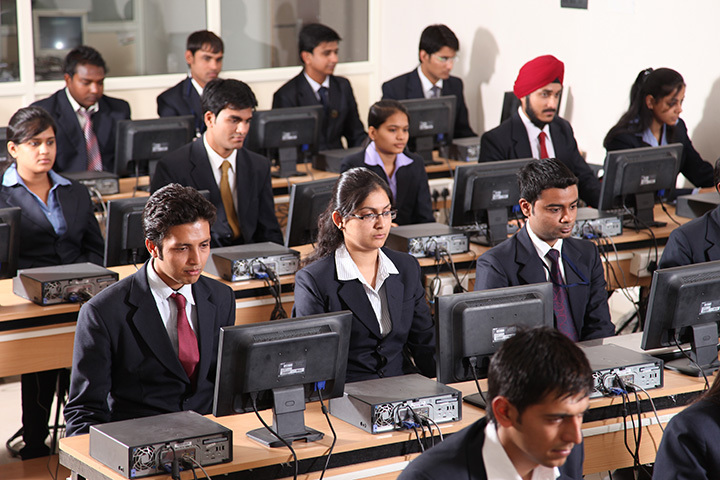 The Institute believes that the best way to keep pace with technological changes is by giving the students upgraded computer facility which consists of a large number of computers backed with the latest software and internet connectivity. The Institute has an exclusive department comprising of well qualified, trained and experienced personnel that takes care of the computer labs, systems, networking and information technology requirements. As a premier B-School, the Institute provides unlimited internet usage to the students, through its high-speed WiFi environment. The Institute has a Wi-Fi enabled campus. Students can access the internet and intranet through the LAN. The design of classrooms provides a conducive environment needed for quality learning. The Institute encourages the pro-active use of tools for Technology Enhanced Learning. Modern teaching aids have been equipped in all the classes. 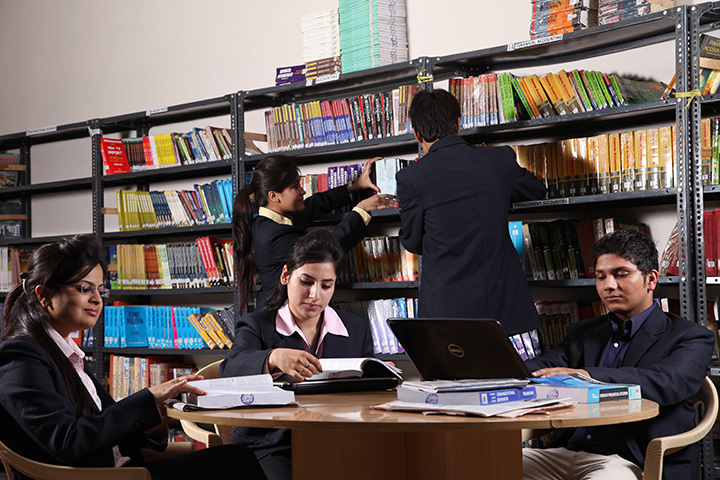 The library at the Institute is well equipped with latest information sources in the field of business management. The library is equipped with Wi-Fi connectivity. 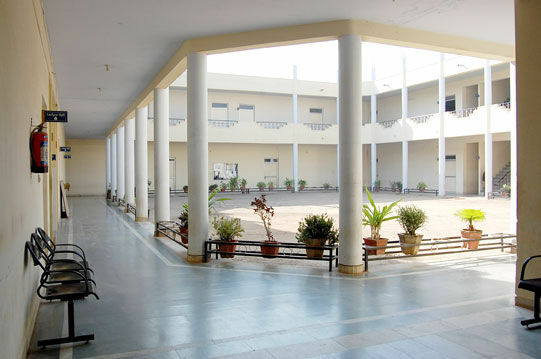 The institute has several separate hostels for boys and girls. The hostel is located close to the college. The Institute organizes sports events to provide opportunities for students to develop team building and leadership skills. It conducts Sports Day for faculty and staff members every year. 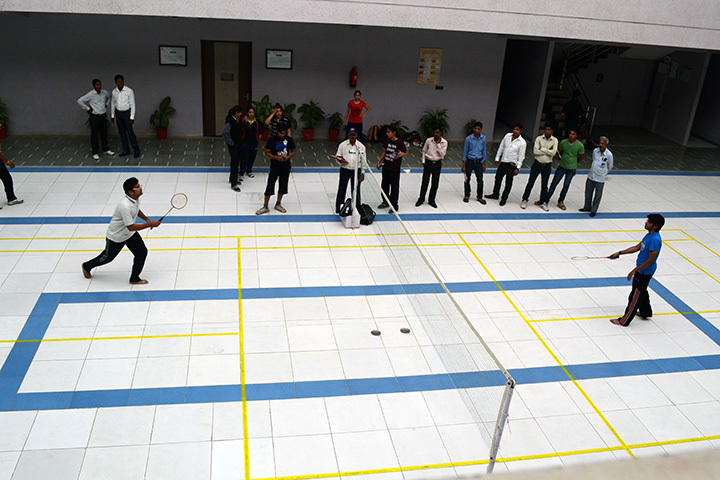 Moreover, students and staff members can make use of indoor and outdoor sports facilities. Telephone: +91 80 2360 8769/ +91 80 2360 6640/ +91 80 2360 6641/ +91 80 2360 6642. The International Institute of Hotel Management, IIHM, New Delhi is part of the group IndiSmart Group. IndiSmart Group operates the IndiSmart Hotels and provides a wide range of services in the field of Hospitality Management. Founded in 1994. Located at the educational hub of Delhi, this Institute has easy accessibility and connectivity from Delhi and NCR region. The metro station of the NCR region is next to the Institution. Each day is a learning experience here. If you wish to become a great hotelier, this institute welcomes you with open arms. The International Institute of Hotel Management, IIHM New Delhi Admissions criteria for a student to join is he/she must be pass in Class 12 examination or its equivalent with English as one of the Subjects. Those appearing in Class 10+2 or equivalent examination can also appear in E-CHAT followed by Group Discussion & Personal Interview of the shortlisted candidates to be held at all major cities of the country. 22 years as on 1st July 2018. Download Application Form from the official website or collect Prospectus & Application Form from IIHM Campuses on cash payment of Rs. 600/- or request by cheque/ DD. IIHM New Delhi has consistently ranked top amongst the hospitality education institutions in India. It has fully equipped commercial star hotels at its Kolkata campuses. The other state of the art IIHM Campuses have a tie-up with top brands and that makes learning experience at IIHM very hands-on and minds-on at the same time. Real-time training in real hotels prepares the IIHM students to lead the global hospitality industry far more efficiently. IIHM’s Young Chef India Schools and Young Chef Olympiad Culinary competitions are the prestigious competitions, which is held nationally and worldwide. It has produced a number of talented chefs from all over the world. IIHM has international collaboration with University of West London (UK), George Brown College (Canada), Kasem Bundit University (Thailand). Students at IIHM, New Delhi also have the opportunity to complete their degree from partner Universities, such as Edinburgh Napier University, Edinburgh UK and the University of West London (earlier known as Thames Valley University), London UK. The partnership means that students get a scholarship and the reduced cost of 1/3rd of the normal fee. IIHM, New Delhi is the only institute to have a hotel attached to the campus thereby giving the students real-time practical exposure to the hospitality industry from day one. We have the best infrastructure in the campus with air-conditioned classrooms, IT labs, training kitchen, training restaurants, cafeteria, library and hostels facilities. Graduates from IIHM enjoy an outstanding placement record. On course completion, the placements cover various types within the hospitality industry; such as the airline’s sectors or the process outsourcing sectors or the hotel industry including the resorts, catering sectors, and the luxury sectors, or it can be the highest paying retail sectors. For students completing the course in UK, or Canada or Bangkok the international hotel chains seek their services at the supervisory and managerial levels through the University placement and recruitment departments and for all students who complete the degree programme in IIHM campuses in India, placement at the level of Management Trainee & Hotel Operational Management Trainee takes place through organised campus interviews. With the institute’s strong image and connection with the hospitality industry in India and the Middle East & Singapore, only the best are invited for conducting the campus interviews. In the field of engineering Manipal Institute of Technology offers a Bachelor’s and Master’s program. Students at MIT have the option to carry out full-time or part-time research. For full-time postgraduate qualified Ph.D., the minimum duration three years, and for part-time its four years. Fill and Submit required details. Upload required Softcopy of your passport size photograph and signature. A Demand Draft has to be made in favor of the Manipal Academy of Higher Education, payable at Manipal or Udupi. Manipal Institute of Technology, Manipal provides various top-class facilities for their students like the hostel, libraries, canteen, Wi-Fi enabled-campus, innovation center, etc. MIT’s libraries are very famous with respect to having excellent resources for reference and study. The best part of Manipal Institute of Technology is its campus and the facilities they provide to the students. There are several societies and clubs present for the students. The fests of each department at MIT gets unique and innovative every year. Placement cell at MIT helps students to land the right career in the right path. Students can choose the preferable destination for campus recruitment. Placements are focused across the core engineering field which has resulted in higher core placements. ATMEL INDIA “Embedded System Design Lab. IIMT College of Management Greater Noida was established in the year 2007. The objective of the establishment was transforming the young students to professionals with the ability to lead in the present dynamic corporate environment. IIMT College of Management Greater Noida has evolved a comprehensive students’ centric learning approach consisting of several stages. Hence, the purpose is to add further value to the university prescribed syllabus, keeping in mind the industry’s changing requirements where they have to be placed. The college campus aids in lifting the spirits of its learners make knowledge accessible and promotes the holistic development of its students. To nurture the academic proficiency of students, varied contemporary and modern pedagogy is used at a different level. The college consistently endows learners with life skills, positive outlook, leadership and teamwork with the help of regular major and minor activities. B.Com – 10+2 with 33% marks (Eligibility – Commerce (5% addition), Arts, Science. maths)/Ag/Bio/Science/Commerce), Maths mandatory at High School Or Intermediate. BJMC – 10+2 with 45% for Gen./OBC & 40% marks for SC/ST (All streams). IIMT College of Management placement cell is very resourceful. Many companies visit every year to recruit students from this college. First of all IIMT boarding facilities make it feel like home. Second, the boarding facilities at IIMT consist of separate hostels for boys and girls. Third, the hostels have 800 spacious rooms in total, having the capacity of 1600 students on the twin-sharing basis. Apart from that, the hostel even includes exercising equipment, dining halls, a communication center, indoor games and a ground for outdoor games. IIMT Group of Colleges provides excellent transport facility for students. Buses plying on all routes in the city and nearby areas as per the requirement of the students, so that they have comfortable commutation to the campus. IIMT Group of Colleges has a tie-up with Nationalized Banks. This allows every student to open and operate account through cheque or debit cards. The banks are operating their own ATM machines in the campus. The IIMT Campus is super WI-FI enabled to help students propel their learning. The students can keep pace with hi-tech learning using the WI-FI facility.